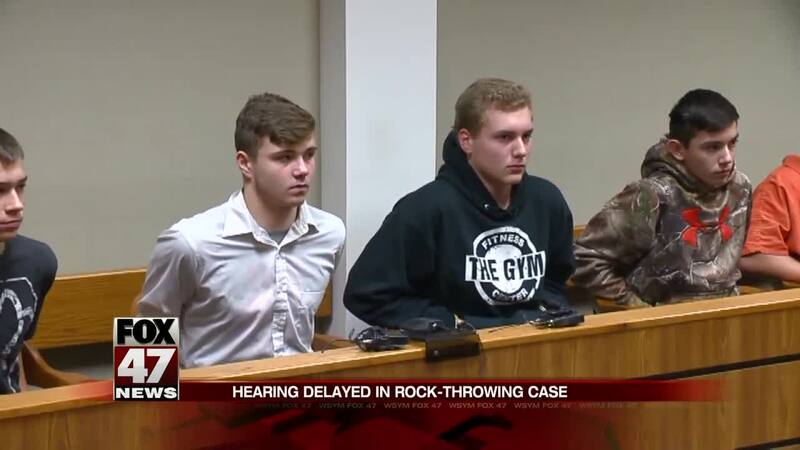 There's been another delay in the case of five Michigan teenagers charged in a fatal rock throwing incident. A judge has denied plea proposals for four of the teens which were aimed to get juvenile sentences for them. The teens pleaded guilty to manslaughter for their involvement in the rock throwing incident on the I-75 overpass that killed a man last year. The judge rejected a juvenile sentencing on Wednesday and delayed it for three weeks. A fifth teen is charged with second degree murder and is currently awaiting trial.